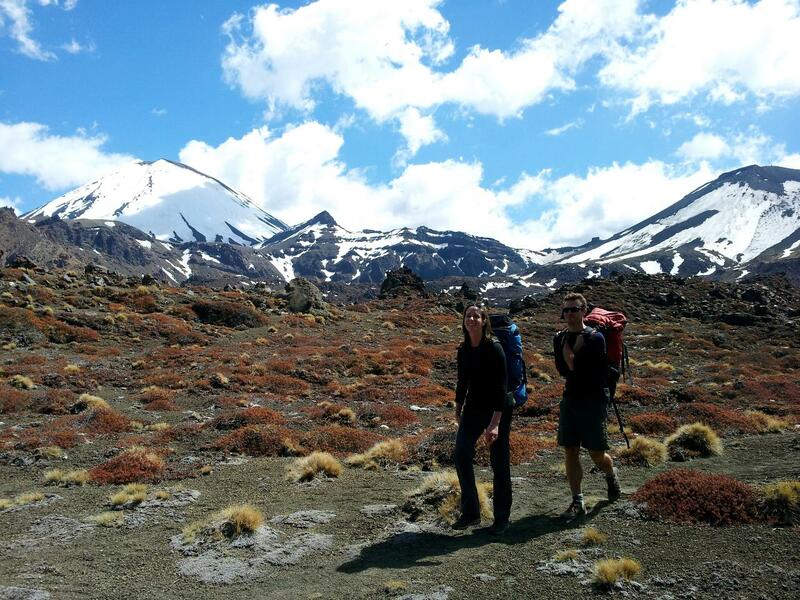 Experience the one day Tongariro Crossing with your own private guide for the day. Your guide collects you from your Whakapapa or National Park accommodation for the short drive to the start of the Tongariro Alpine Crossing. This is a wonderful yet challenging 8 hour (19km) hike through a dramatic volcanic and alpine environment. The track runs through the Mangatepopo Valley (900m) to the saddle between Tongariro and Ngauruhoe Mountains. Two steep climbs lead to Red Crater (1886m), then a scree slope drops down to the vivid Emerald Lakes. After passing the Green and Blue lakes the track then sidles around the northern slope of Mount Tongariro with great views of Lake Taupo, before the descent of switch-backs and steps to the end (600m). Your private transport awaits you at the end of the track and you return late afternoon to your Tongariro National Park or Whakapapa Village accommodation.